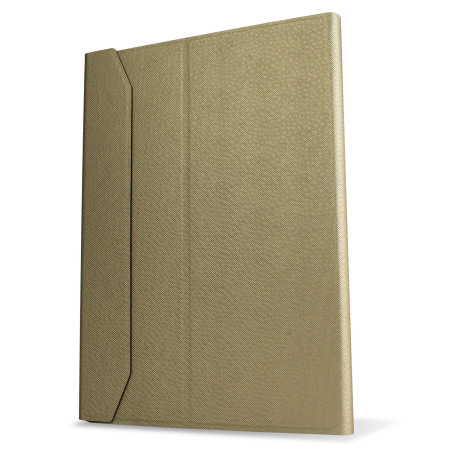 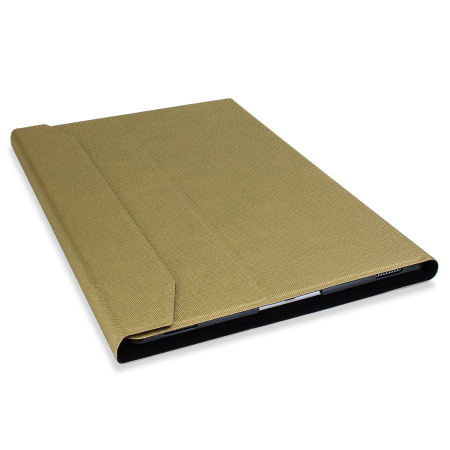 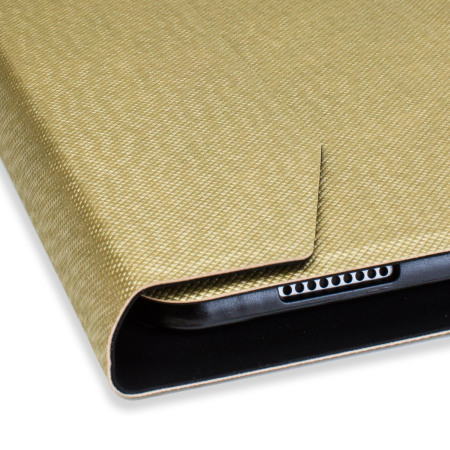 Cover up and protect your iPad Pro 12.9 2015 with an ultra thin aluminium gold cover that contains a built in keyboard. 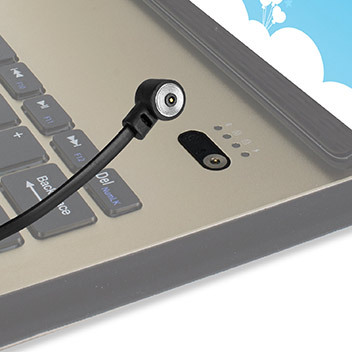 No longer do you need to press buttons on the "on screen keyboard", simply type away as if you were at a laptop. 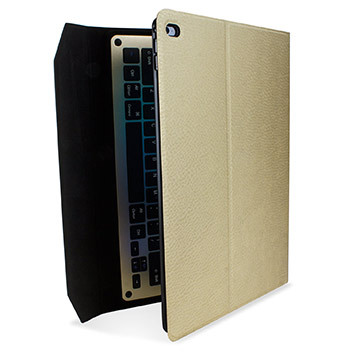 Achieve more with this Gold iPad Pro Keyboard Case, allowing you to type more accurately and with greater speed. 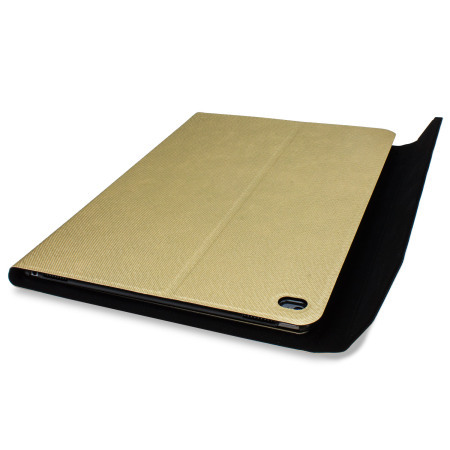 As the Keyboard Case creates a stand for your iPad Pro, you can quickly place your iPad in a comfortable typing position for those long documents and conversations. 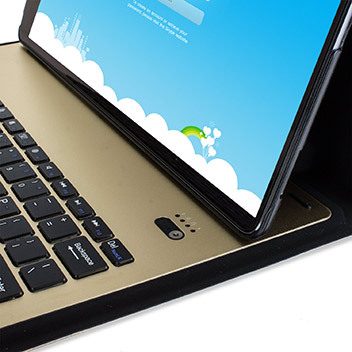 The Bluetooth Keyboard Case includes a full QWERTY keyboard, which is comfortable and easy to use with its well spaced keys - so you'll find typing quickly is no problem at all. 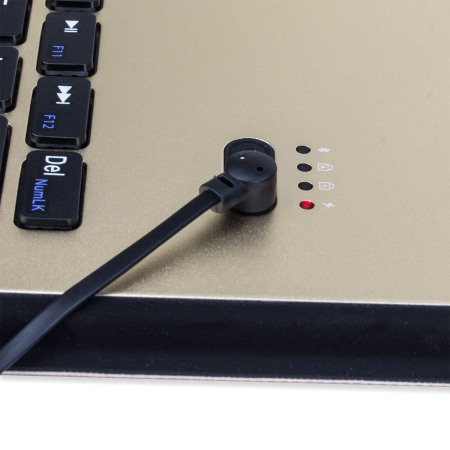 Additionally the keyboard allows for quiet keystrokes, ideal for use when commuting or in a low volume working environment. 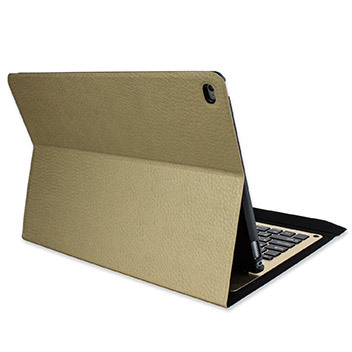 The all-in-one keyboard case covers your iPad Pro and protects it from damage including scratches, knocks and drops. 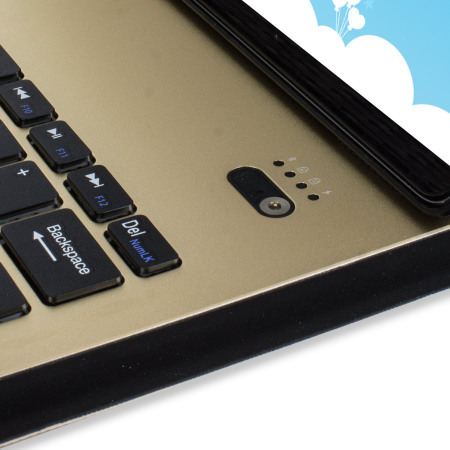 When you're in full work mode, you don't want to constantly switch between touch and typing. Not to worry - this device's Command key can be used to access quick iOS shortcut keys for crucial functions like media playback, copy-and-paste and screen sleep / wake, as well as productivity suite features such as justification and text formatting - so you can do everything from the keyboard. 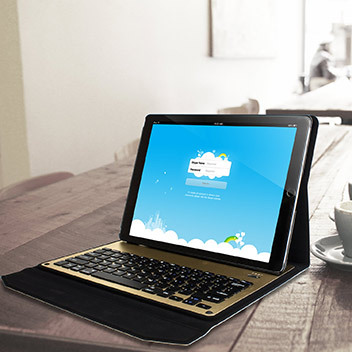 The ultra-thin design of this keyboard case makes it incredibly compact and lets you take it anywhere with you. 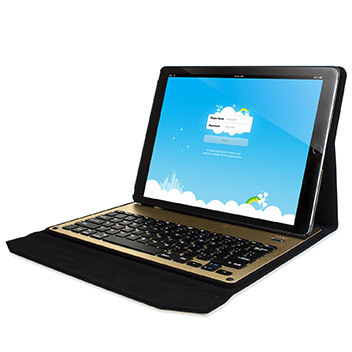 The built-in viewing stand caters to different activities whether you are typing or reading. 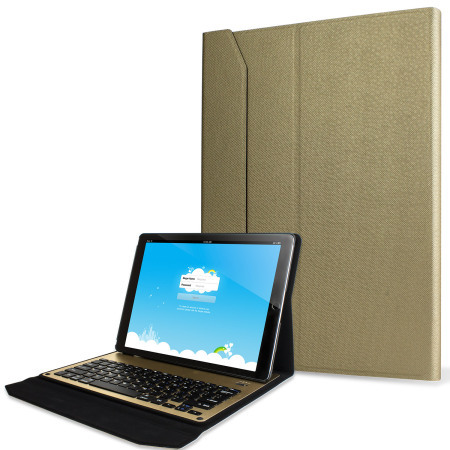 Position the tablet upright for typing emails or documents and at the same create the perfect way to view movies with friends and family.